Why Wonder Drink Prebiotic Kombucha? A trillion microorganisms, good and bad, live in our gut and impact our health. PREBIOTICS are food for the good guys—the probiotic bacteria—helping tip the balance in their favor and promote a happy digestive system. Prebiotics and probiotics help us live our best lives. But how do they differ? What are their respective roles in gut health? 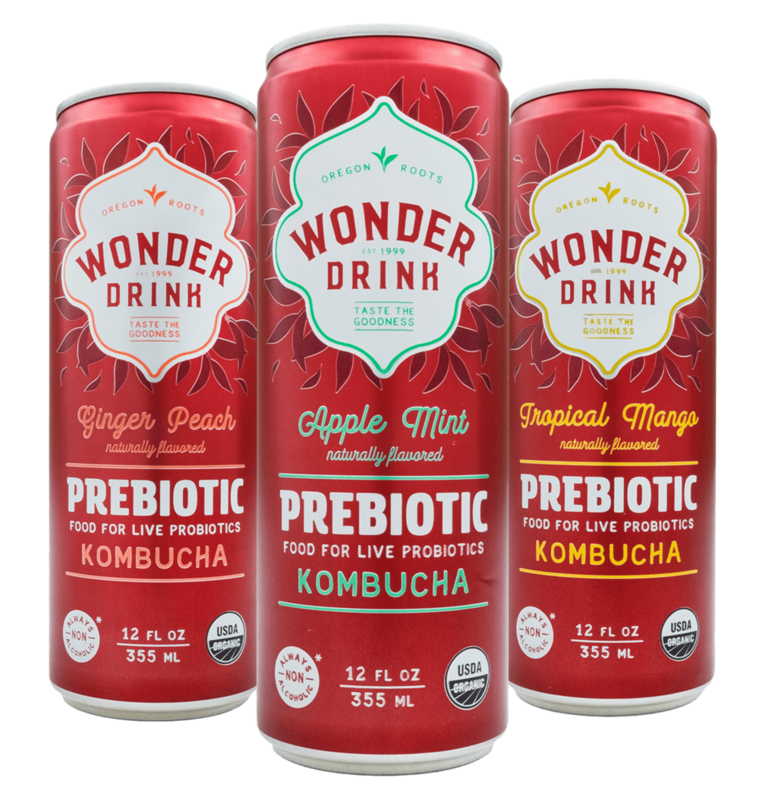 Wonder Drink Prebiotic Kombucha is the first and only kombucha with an effective dose of Xylo-oligosaccharides (XOS Fiber), a plant-based, organic prebiotic fiber. XOS Fiber—or "Xylo," as we like to call it—only nourishes the good bacteria, known as probiotics, in your gut. There are many types and sources of prebiotics and not all are created equal! Prebiotics can be found in green bananas, onions, asparagus…but usually in low quantities. WHERE DO PREBIOTICS COME FROM? ARE THEY ALL THE SAME?